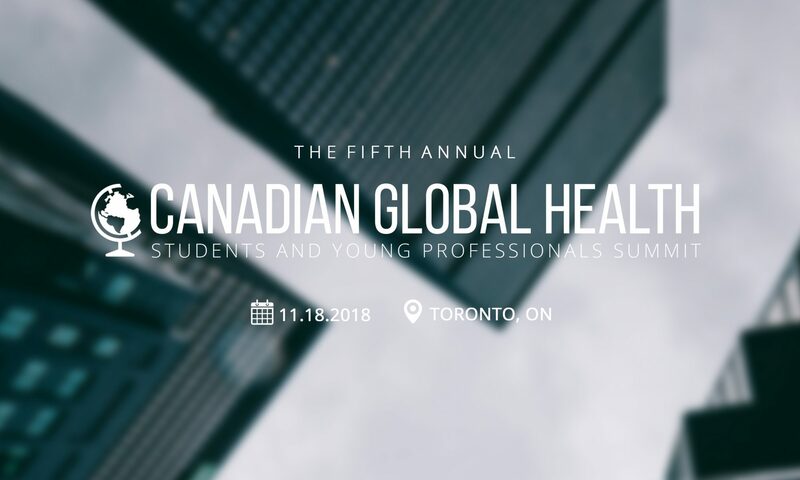 GHSYPS is organized be a diverse group of hard-working individuals from across the country who share a common interest and passion for Global Health. Meet the team for the 5th Annual GHSYP Summit! Malcolm is excited to work with and learn from an amazing group of global health SYPs while planning the 2018 GHSYPs Summit. He is particularly interested in understanding how research evidence can be better integrated in health systems decision-making processes. Sakshi is the Design and Website Lead for the GHSYPs Summit and is excited to be applying her skills in Media & Design to plan an event that contributes greatly to her professional interests. She believes that international health management, Women and Child Health, and Mobile Health are areas of work that lack attention in the world today and should be pursued further in order to foresee a change in health worldwide. Mariela looks forward to learning from passionate GHSYPs as Communications Co-lead. Her main interests lie in refugee and immigrant health; specifically, the sociocultural, political and financial barriers that may compromise their health. Ali is the ‘Programming and Speakers’ Co-Lead and is excited to learn from and network with his peer GHSYPs. He has a vivid interest in ‘local’ global health issues, including concepts such of Privilege & Oppression, Social Determinants of Health and Refugee Health. Following her experience in student publishing and human rights activism throughout her undergraduate studies, Nina is acting as a Communications Co-Lead for this event. Currently completing her family medicine residency training in Ottawa, Nina is thrilled to join a team of like-minded individuals who aspire to pursue ideals of social justice and health equity beyond the classroom. Since becoming involved with the GHSYPs Summit in 2017, Sabrina has had the privilege of witnessing the organization’s evolution through the efforts of a passionate group of GHSYPs. Sabrina is incredibly excited to serve as event Co-Chair and learn from her fellow committee members this year as they work to bring the Summit to Toronto. Having recently completed her MA in Public Issues Anthropology, Chantelle has developed a love for medical anthropology and global health, and hopes to connect with others within this diverse field to learn even more. Chantelle has had the privilege to attend several events, and be inspired by the many speakers, students, and other professionals she’s had the pleasure of meeting. Chantelle is excited to learn more at this year’s GHSYPs Summit, and to see all of you there! Japteg is part of the Programming and Speakers committee, and is very much looking forward to collaborating with and learning from other committee members. Japteg is especially interested in issues of health equity and is excited to help facilitate the great discussions and ideas that will be at this years GHSYPs Summit. Erika is a fourth year student at Queen’s University that is passionate about health advocacy within her community. By joining the GHSYPs executive, Erika hopes to meet other students and young professionals from across Canada that share an interested in the field of health advocacy, and looks forward to learning more about health advocacy on a global scale. Erika shares a particular interest in the field maternal-fetal medicine. Overall, Erika cannot wait to expand her knowledge base regarding global health and advocacy at this year’s summit. Keerthana looks forward to engaging with a group of driven and passionate SYPs for this year’s GHSYPs Summit. Her interests lie in social determinants of health and maternal reproductive care. Keerthana is excited to learn about current drivers of change and innovative approaches to tackling pressing global health concerns. Humaira is a Partnerships Co-lead for the GHSYPs Summit. She is excited to learn and engage with fellow driven SYPs. Her interests lie in translating evidence for use in health policy and care, global public health, and disaster and emergency medicine. Clara is excited to learn and engage with SYPs from all backgrounds and is looking forward to gaining new perspectives in global health. Her interests lie in food security and evaluation in both local and global contexts. Arthika is a third-year global health student specializing in policy, management, and systems at York University.Her interests lie in child and maternal health. Arthika hopes to use her experience in fundraising to ensure that GHSYPS is a continued success. Arthika is looking forward to better understand the role of change agents in the field of global health. Rumya is a second-year MA candidate in International Affairs at the Norman Patterson School of International Affairs (NPSIA) at Carleton University. Her research interests include climate change and the rise of infectious diseases; mental health awareness and capacity building in post-war countries; and maternal and child health (MNCH). For the GHSYPS Summit, Rumya seeks to connect with conference partners to provide services and arrangements so that the conference becomes an inclusive and accommodating space for all participants!